Purchase a ticket to the world renowned Moulin Rouge Show and get a City Tour Bus ticket for free! Looking for easy transportation? 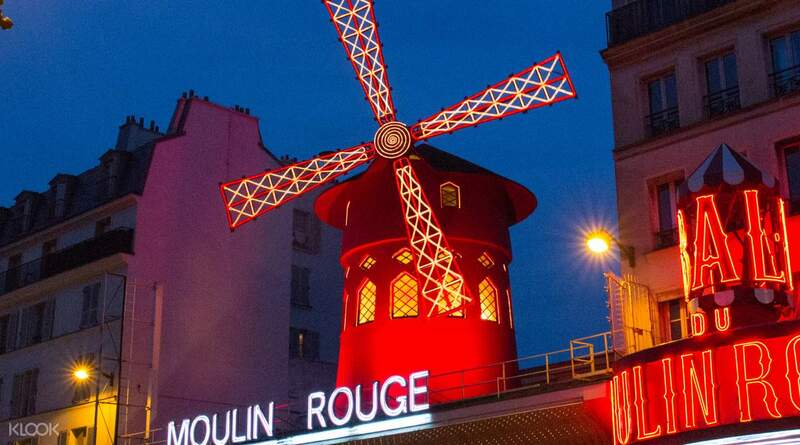 Opt to book a Moulin Rouge Show Ticket with Round Trip Transfers on Klook! It is so good and beautiful. If i will been to Paris, I will go to there to see again. Set as one of Paris' most iconic locations, no traveler should miss the chance to step into the legendary world of the Moulin Rouge. The Hollywood blockbuster movie “Moulin Rouge” took inspiration from this illustrious show, the most famous in all of Paris, and known all over the world. The troop is a literary and artistic group comprised of more than 80 artists, including 60 beautiful Doriss Girl Dancers who have come from all over the world to be part of the magic of sight and sound in the cabaret. 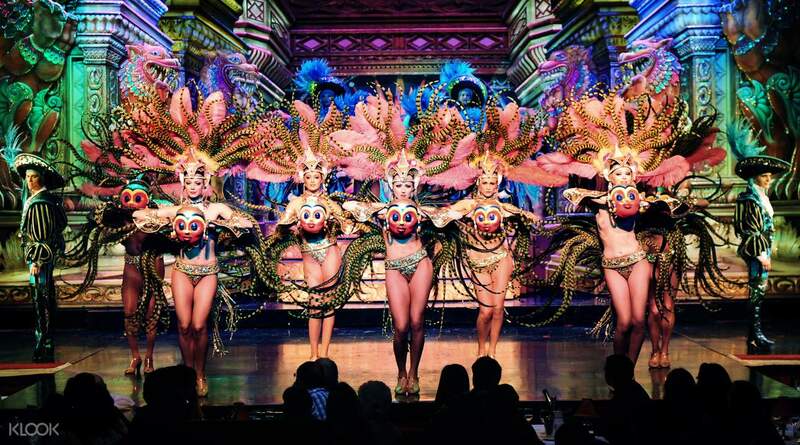 Witness the most spectacular sets and costumes in a night of incredible dancing and choreography which over 60 million viewers come to enjoy each year. 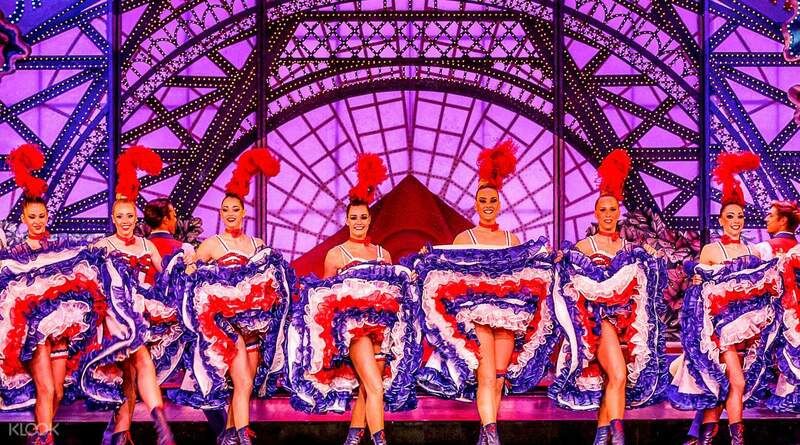 Experience a truly dazzling show of feathers, sequins, grandiose sets and soaring song and music along with a sip of champagne and lose yourself in the mesmerizing, unforgettable world of the Moulin Rouge. To complete your traditional Paris experience, every package comes with a free 1.5 hour City Bus Tour that takes you around all the best and most popular attractions in Paris! 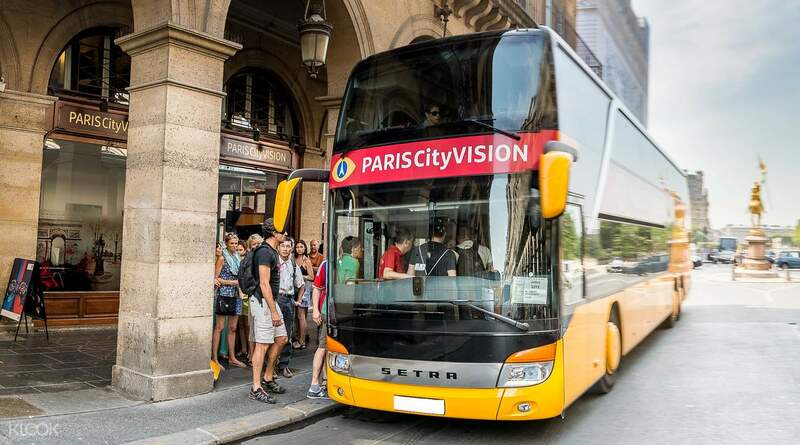 Don't miss your chance to see Paris by day when you board the City Tour Bus! This is a must see in Paris. The show was spectacular and it comes with free small bottle of champagne. The performances are breathtaking and the costumes were surreal. Feels like you're watching the moulin rouge movie. Getting the ticket was easy. Just proceed to the ticket counter near the entrance and show voucher in your phone. This is a must see in Paris. The show was spectacular and it comes with free small bottle of champagne. The performances are breathtaking and the costumes were surreal. Feels like you're watching the moulin rouge movie. Getting the ticket was easy. Just proceed to the ticket counter near the entrance and show voucher in your phone. This show is a must try once in your lifetime. This package is cheaper than Moulin Rouge official price and the champagne option is very worth it as we (a couple) received a whole bottle of champagne for ourselves. The free city bus tour is also a good intro to the city. We arrived early and managed to get a nice seat near the stage with good view. This show is a must try once in your lifetime. This package is cheaper than Moulin Rouge official price and the champagne option is very worth it as we (a couple) received a whole bottle of champagne for ourselves. The free city bus tour is also a good intro to the city. We arrived early and managed to get a nice seat near the stage with good view. It was easy and straight forward to redeem. The show was very entertaining as well. I will definitely recommend this to anyone going Paris to put this as one of their attraction to go for. Cheers....! It was easy and straight forward to redeem. The show was very entertaining as well. I will definitely recommend this to anyone going Paris to put this as one of their attraction to go for. Cheers....! The show was really good, however we were given front roll seats... which means my partner had to turn his head to watch the show the whole time.. but i guess he was excited as the dancers where so close.. Exchanging tickets was easy... overall a very good experience.. The show was really good, however we were given front roll seats... which means my partner had to turn his head to watch the show the whole time.. but i guess he was excited as the dancers where so close.. Exchanging tickets was easy... overall a very good experience.. The show is great. Montmartre is worthy to visit. Very relaxing and cultural pace. The show is great. Montmartre is worthy to visit. Very relaxing and cultural pace. Best experience ever. Availment was a breeze. Just go to the ticket and they will give you the actual ticket for the show. No frills. Also had the free city tour. So this has the best value for your money. Will definitely watch the show again and buy ticket from klook. Best experience ever. Availment was a breeze. Just go to the ticket and they will give you the actual ticket for the show. No frills. Also had the free city tour. So this has the best value for your money. Will definitely watch the show again and buy ticket from klook. Exchange of ticket was hassle free and everything went as planned. You do not need to print the tickets. E-tickets are accepted for the exchange. I haven’t went on the city your yet, so hope that would also be worthwhile. Exchange of ticket was hassle free and everything went as planned. You do not need to print the tickets. E-tickets are accepted for the exchange. I haven’t went on the city your yet, so hope that would also be worthwhile. the show was great! We enjoyed our champagne dinner alot! the show was great! We enjoyed our champagne dinner alot!